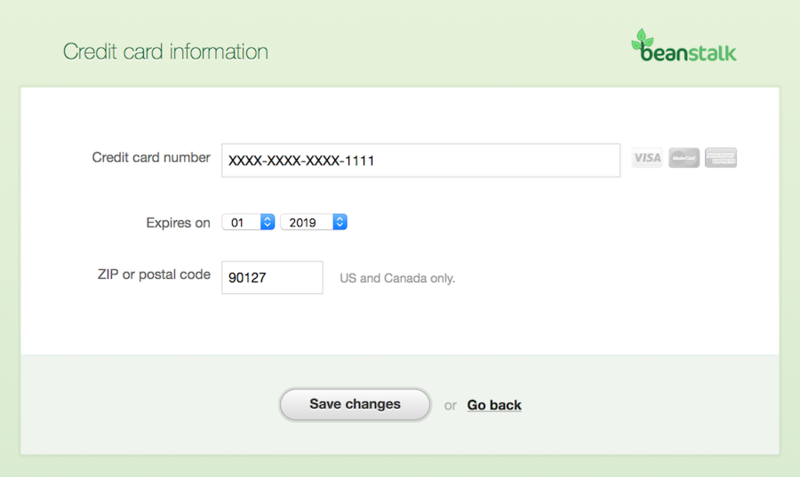 Beanstalk allows you to update your credit card information should you need to. To change your credit card, log into your Beanstalk account. Click on the "Account” option in the top right, and then select “Plans & Billing”. On the “Plans & Billing” page there will be an option on the right that mentions your upcoming charge and says "... ending in XXXX”. Click on the hyperlink and you will be able to change your card information on the next screen.